Entering a nursing home is a decision few people consider lightly or happily, but it is one of the potential realities of growing older. Few can afford to pay the staggering costs of nursing home care without assistance, and most people turn to Medicaid to provide financial assistance to help cover this expense. 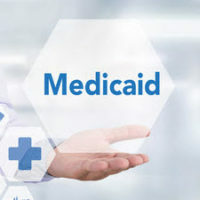 However, qualifying for Medicaid is one of the most complicated processes a person will ever experience, and should be explored well before the need for this assistance program arises. Medicaid is intended to provide medical aid to those unable to afford regular medical care, and is financed by federal and State governments. As a result, a person must meet strict income requirements that essentially indicate they have no resources available to pay for the cost of a nursing home. These income limits can leave many people thinking they must deplete their entire net worth, leaving spouses and children with nothing for support or inheritance, but there are permissible ways to avoid attain eligibility to avoid this outcome. Certain transfers to specified individuals are allowed under Medicaid, and there are various other financial arrangements that are permissible. This enables a substantial portion of a person’s estate to be preserved while still achieving eligibility for Medicaid. A discussion of some options for how and when to transfer money and property out of one’s estate for purposes of Medicaid qualification will follow below. income-producing property, e., rental property or qualified annuity. title is held in the applicant’s and/or the spouse’s name. In addition, Florida law places a high level of protection on homesteads, and will not permit creditors to force a sale of the home to pay off outstanding debts as long as the home is inherited by a spouse, children or other family heirs. another child of the applicant who lived in the home for the previous two years in a caretaker function. Applying and qualifying for Medicaid is not a straightforward process, and if done incorrectly can cost the applicant months or even years of program eligibility. Using an attorney to assist in the process gives you a much better opportunity to become eligible sooner, while protecting as many assets from liquidation as possible. Planning for Medicaid should occur early, and elder law attorney William Rambaum, P.A. has years of experience helping clients navigate this complicated program. Contact the Oldsmar office today to schedule an appointment.